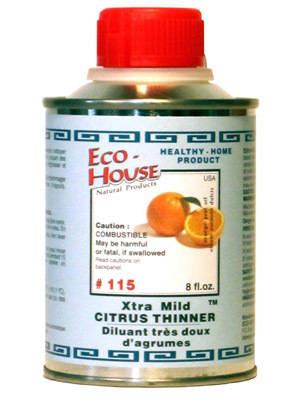 #115 Xtra Mild Citrus Thinner | Eco-House Inc.
Eco-House Extra Mild Citrus Thinner combines the solving action of natural orange peel oil in food quality with highly purified mineral oils, which are 100% volatile and free of aggressive aromatics. 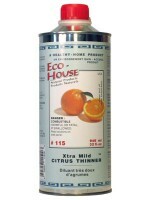 For thinning and clean-up of all Eco-House Inc. oils, resins, varnishes and waxes, but may also be used with most conventional oil-based paint products and for clean-up of tars, gums, caulking, etc. 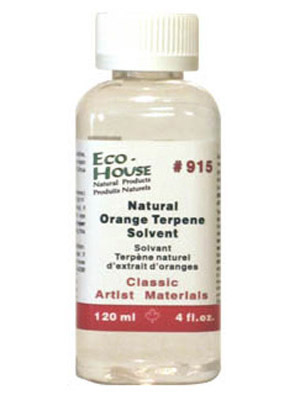 For use in many artist endeavours such as oil painting and pastels, encaustic, coloured pencils, letter press, and sculptural work. SKU: N/A. 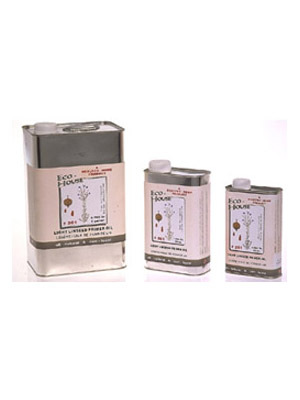 Categories: Solvents, Penetrating Oil Finishes, Art Supply Solvents. 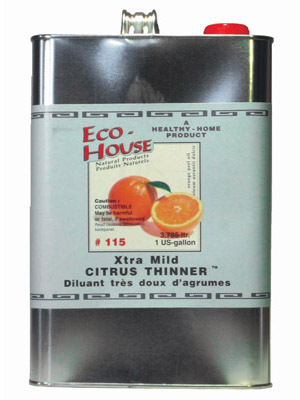 Eco-House Xtra Mild Citrus Thinner combines the solving action of natural orange peel oil in food quality with highly purified mineral oils, which are 100% volatile and free of aggressive aromatics. Isoparaffinic mineral oils are commonly used in pharmaceuticals, baby oils, sun tan lotions, hairsprays and in animal feed. According to a study conducted by the American National Paint, Varnish and Lacquer Association, they are by far less involved in the formation of smog than any other solvent due to their chemical inertness. Natural orange peel oil in food quality is the actual solvent component. It is used in small amounts in order to reduce the risk of a sensitizing effect. In ECO-HOUSE Natural Products only low-risk solvents such as water, alcohol, mineral oils in cosmetics quality and precious essential oils are used ….. and all ingredients are listed on the label. 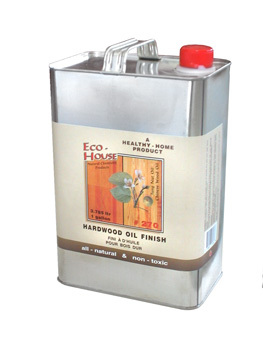 For thinning and clean-up of all Eco-House oils, resins, varnishes and waxes, but may also be used with most conventional oil-based paint products and for clean-up of tars, gums, caulking, etc. 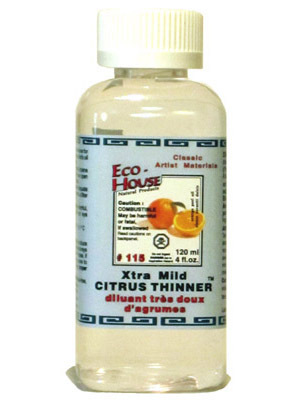 Xtra Mild Citrus Thinner is also the solvent of choice for fine art painters, because it has a pleasant fragrance and minimal health risk. Many fine painters also like Eco-House Citrus Thinner, because it dries slower than turpentine, keeping the paint workable for a longer period of time. 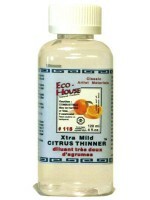 Aspiration Hazard if this product is accidentally ingested and liquid is drawn into lungs. min. 5 years, if stored cool and dry. Eco-House products are usually better tolerated by people with allergies. However, due to the individual complexity of chemical sensitivities, this product should be tested before ordering or using major quantities, to make sure it meets your expectations. Although this product is pleasant to work with, for your own safety always make sure to avoid too high concentrations in the air by providing proper ventilation.